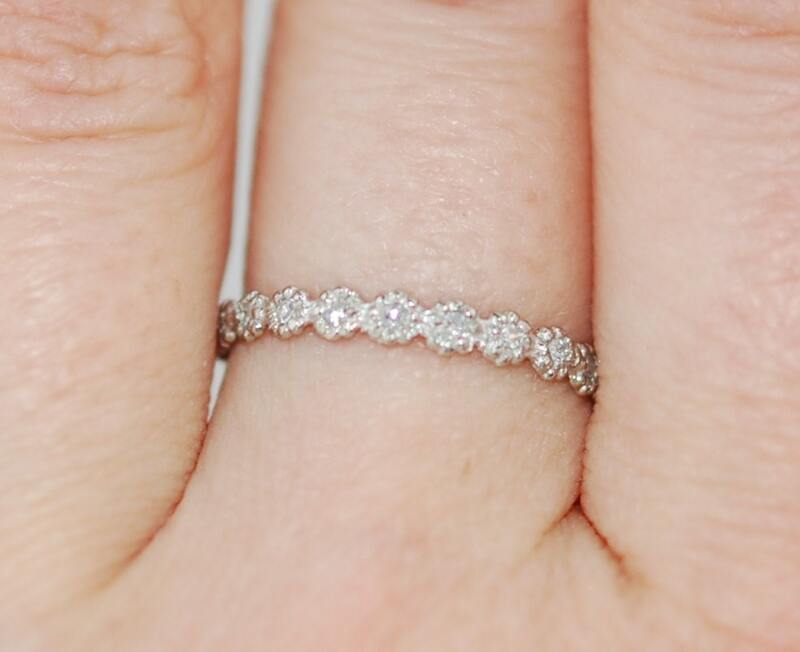 This ultimate band was created to match underneath any engagement ring. 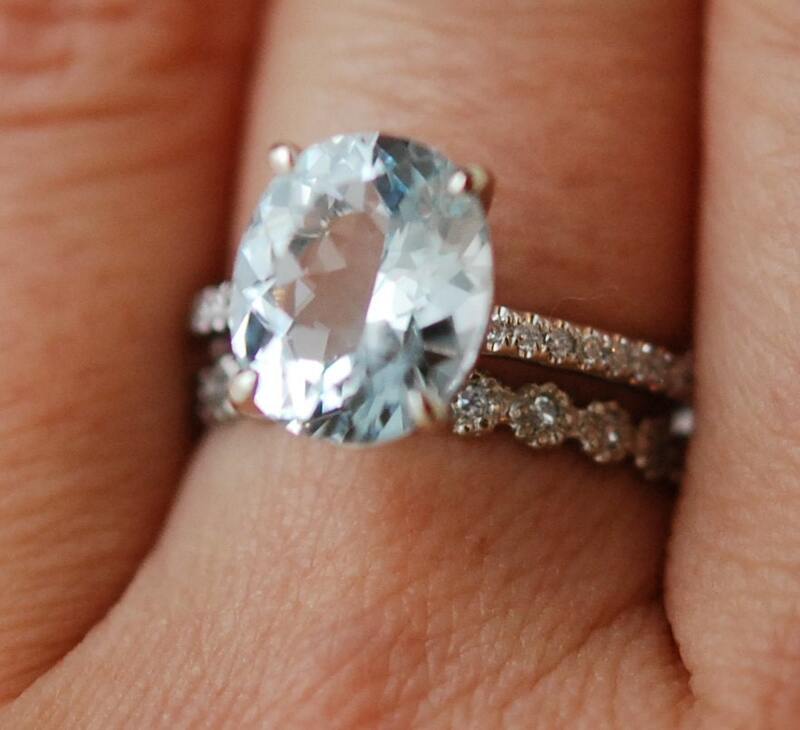 It is so flat (only 1mm high) that it will slip underneath your engagement ring quite easily. No need for curved matching bands in weird shapes! 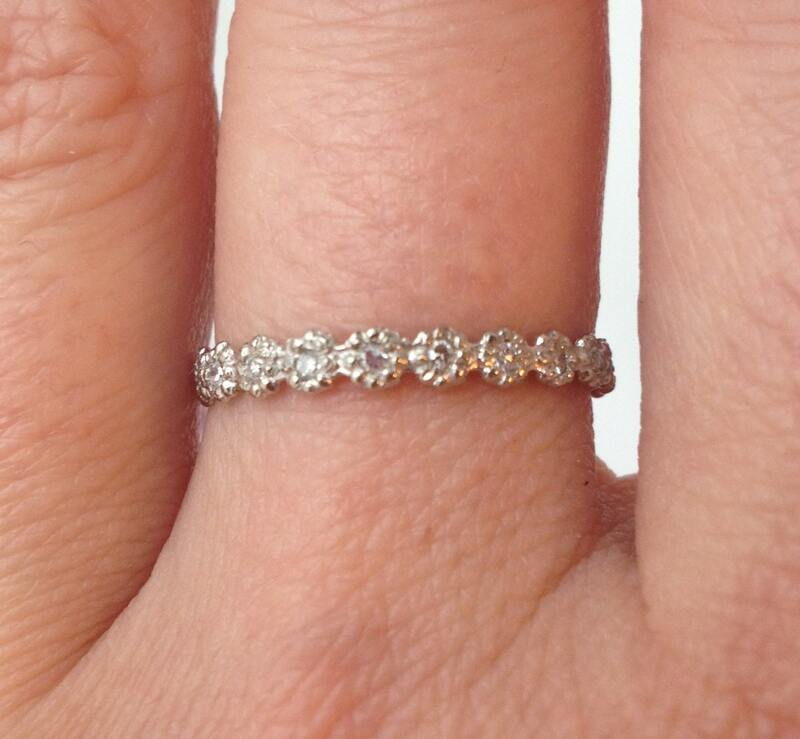 The design is very elegant - tiny daisy flowers with diamonds in the middle. 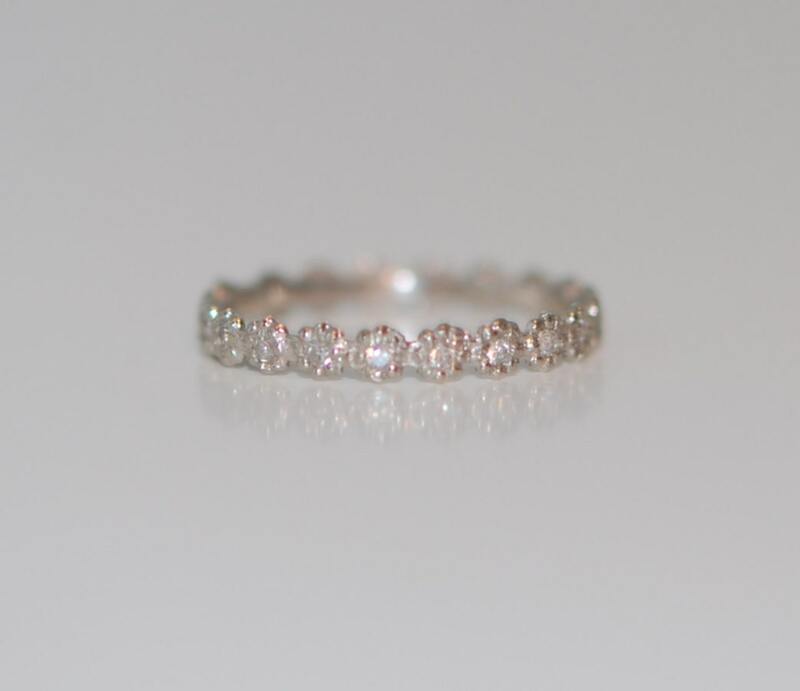 This listing is for 14k gold Band set with 18-22 full cut VS/F diamonds. The band can be made in any size, in rose gold, white gold or yellow gold. The price is for 14k. 18k gold is available upon request. 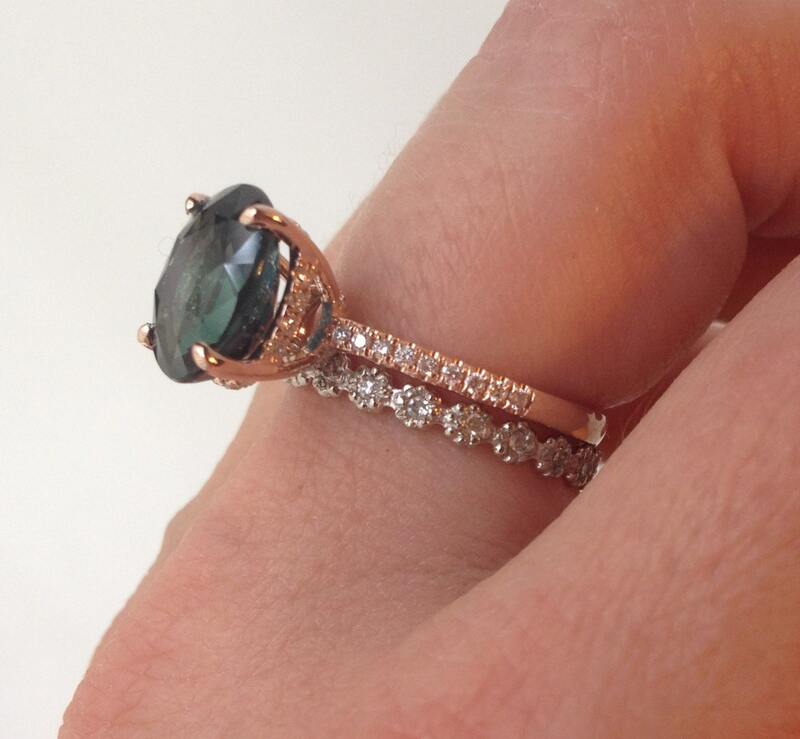 It is recommended to have the band made 1/8 size smaller than your engagement ring for a better fit. The band is made to order in your size. Turn around time is 4 weeks.